Riding with others is so much more fun! Join us for weekly group rides where we will explore new trails, meet new riding buddies and support and encourage each other. L2S has teamed up with Switchback Chics of Colorado for this program. 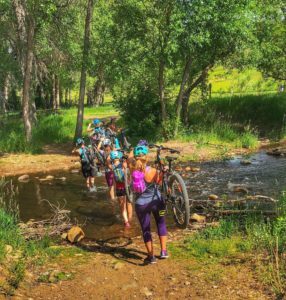 Meet other women who love mountain biking to train with! Access to the private L2S training group for the duration of the course. This is where we will post updates and share useful articles, workouts and videos. This will also serve as a community where you can talk, share stories, experiences, tips and meet other women to go on some rides with! 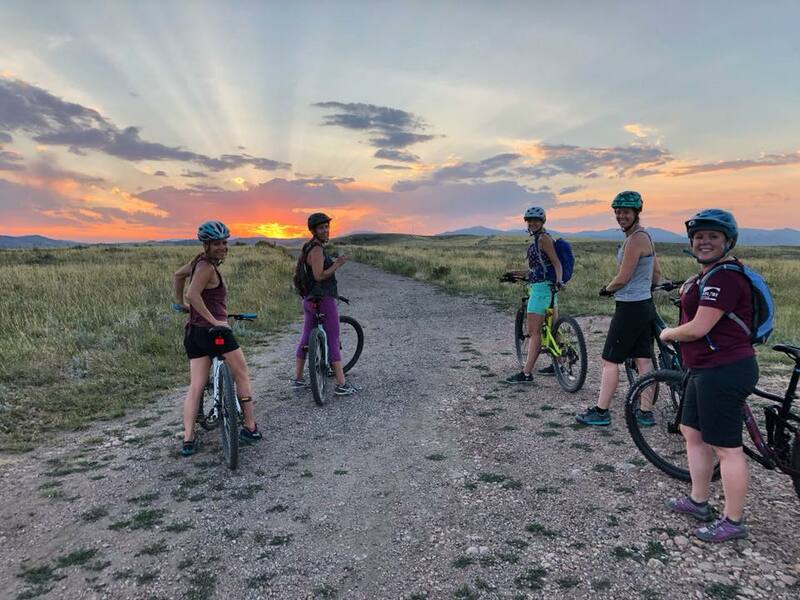 This is for women who may be newer to the sport or new to town who are looking for some support and guides to show them the best spots for mountain biking across the front range. This course is appropriate for women who successfully completed our Beginner mountain biking course or intermediate riders looking to work on their skill and/or fitness. Special clinics will be structured with objectives to accomplish with work on specific skills and techniques. These rides will be shorter, between 4-8 miles. We will include several sessions with pro riders to work specifically on improving our technical riding skills and fitness based loops/hill repeat sessions. You need to have had some experience mountain biking prior to this program. Ideally being able to complete an easy “blue” ride without problems. We will work on improving our technical riding and fitness throughout the course. —–> View pictures from our beginner courses HERE. OR new to mountain biking in general? Check out our women’s beginner mountain biking course starting in May 2019. These sessions pair coached sessions on handpicked beginner friendly trails and clinics with expert guest speakers on topics that range from how to handle technical terrain, gear for mnt biking, safety on the trails (like what to do if you see a rattlesnake) and more! Every Tuesday, special rides and clinics on alternating Wednesdays OR Thursdays AND Saturday OR Sunday long rides. —–> View last year’s schedule here to get some ideas of our ride locations. We have our sights on some pretty epic rides and events this year. June 2nd: Jump into the Yeti Betti bike bash a women’s only bike race with events for all levels and a day full of fun! We will have another ride option this weekend if you don’t want to participate in the race and a race strategy clinic prior to the event with plenty of beginner tips and techniques if this is your first race! July 13th: Join the group in the Frisco SUP triathlon which involves a standup paddle across lake Dillon, a 12k Mountain bike (intermediate terrain) and 5k trail run. July 21st we will be leading an EPIC long ride from Kenosha pass into Breckenridge (shuttle). This ride will take us along the Colorado trail through groves of aspen, up high mountain passes and into the town of Breckenridge where we will grab a well earned lunch and brews! Every Wednesday from mid July- mid August we can jump into a beginner friendly, small race series with the Backcountry open space in Highlands ranch. We will ride the race course several times before the series starts. We have some other smaller epic ride excursions planned too, view the schedule now here for more info. Our weekend long rides will gradually increase in distance and difficulty to prepare our lungs and legs for the bigger rides in July. —-> *L2S members save %15 or more on all programs. Learn more HERE. —-> Repeat offenders (participated in a previous 2018 training group) save $20! Lauren Jones grew up riding the trails in Littleton Colorado and hasn’t stopped! She has her degree in exercise science and sports performance and has experience with long cross country style mountain bike rides and racing. Brie Bustos, founder of Backcountry Adventure Group and the chapter head of the Colorado chapter of Switchback Chics of Colorado. 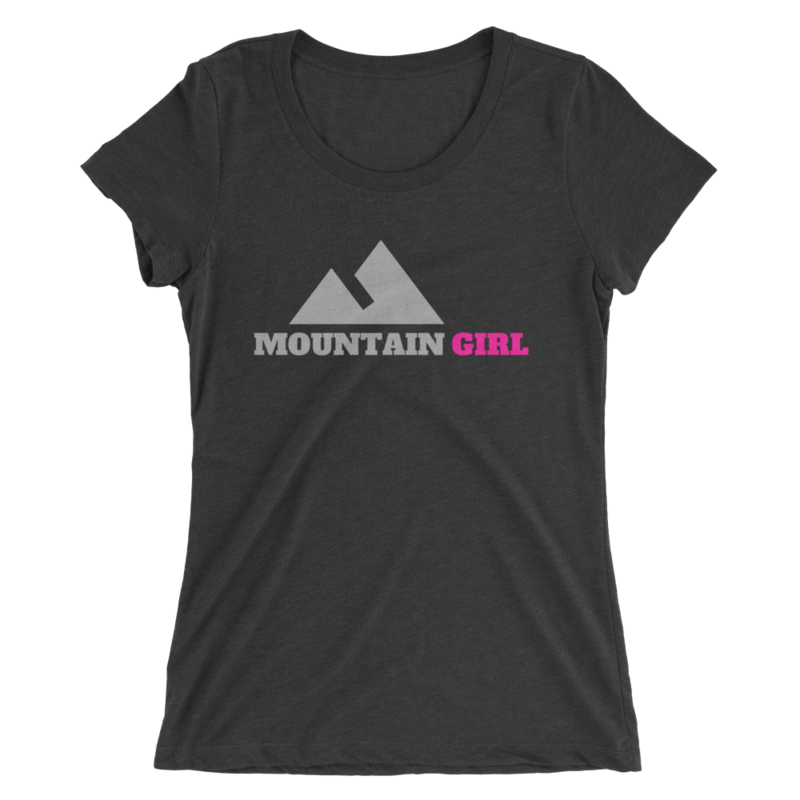 She is a long time backcountry skier and avid mountain biker. She is certified in Wilderness First aid and can’t wait to share adventures on the trails with you! Switchback Chics mission is to unite & encourage women to be unique, adventure often, pursue passions & discover their true north.